Many people’s minds turn to basketball during this time of year. Not mine. I think of Julius Caesar and the dire warning to “beware the Ides of March.” So March is the perfect month for #Otherworldly Words to explore the vocabulary of warnings. Each word in this group foretells something wicked this way coming. 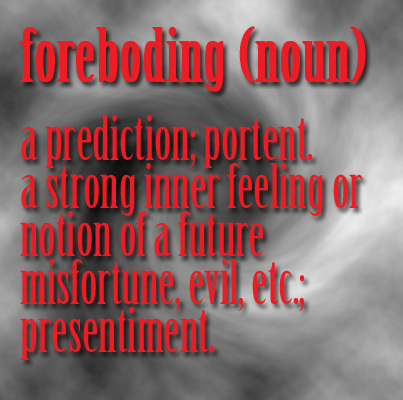 Foreboding is more or less “a bad feeling” about the future. Forebode is made up of fore + bode, derived from Old English bodian, to proclaim.